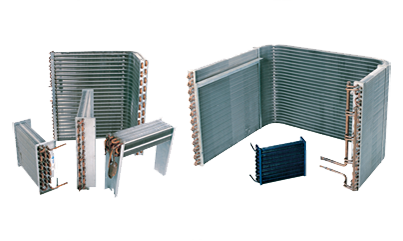 Condenser coils are manufactured to withstand the high pressure and temperature associated with refrigerant condensing. Various fin and tube combinations provide design flexibility. Wider fin spacing is also available to minimize dirt and dust build-up. Optional corrosion-resistant materials and protective coatings help increase the service life of the coil.